Spectre Bowling is the PRO SHOP APP. Bowling pro shops all have that huge stack of paper with all their client’s measurements. This is a HUGE hassle when trying to find your customers drill sheet. 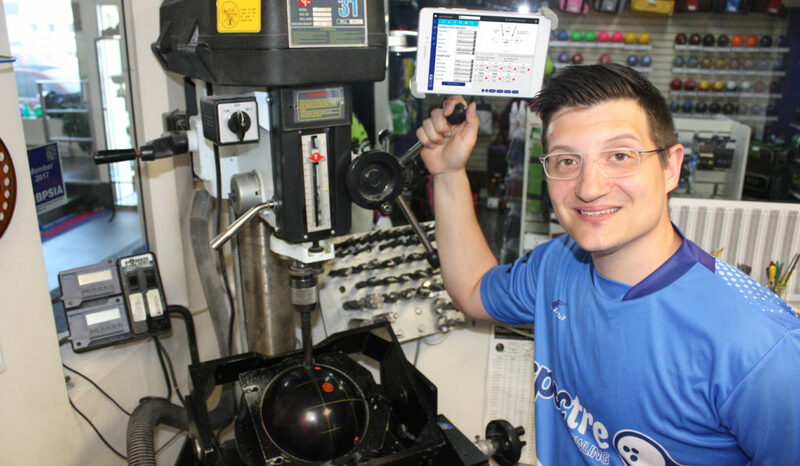 Other shops simply result in taking measurements off of existing balls, which is not very accurate, especially if a custom drilled thumb was done for that customer. Manage all your clients, their spec sheets and their arsenal all on your tablet. This tablet based app is a must, offering IBPSIA standard auto-suggestions, automatic oval calculation and spec sheet history. 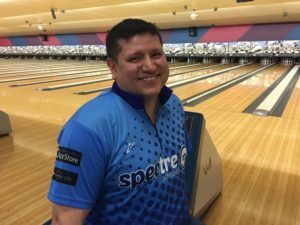 If you drill bowling balls, you need Spectre! The whole idea behind Spectre was created one day in the pro shop of Buffa Distribution, about 10 years ago. Vince Gaudio, long time pro shop operator for the Buffa family, and I were working the shop one day and Vince had asked me to find a client in his massive pile of spec sheets. At the time, I was straight out of college with a Computer Science degree from Wichita State University, and noticed that there was a need for a spec sheet database for the pro shop. A couple of days later, a system was born, windows based, single user, easy data-entry, a quick staple in the way our pro shop was run. Not many changes have been made to that system because of its simplicity, however this is what sparked the idea for SPECTRE. Having to travel for business across Canada visiting shops, I saw a constant across all bowling pro shops. Either stacks upon stacks upon stacks of spec sheets or… NO SPEC SHEETS which was even worse! Not many shops had a system in place to easily find their work on paper. (Kudos to those that did have an in-house system). On one my trips overseas, a client from Switzerland who had come for a ball in Montreal, wanted to visit with me since I was in town. This was now a problem: log in remotely to the system back home, email the copy of the specs to the center, have them print it… you can see how this was time consuming. This is what lead to the idea of a centralized and portable system! Spectre solves a basic need in the pro shop: organization. The main thing I learned from all my mentors is to be efficient and product quality work. This meant having tools at arms reach in the shop, reference tables posted on walls for easy reference and anything else to get the client in and out of your shop as quick as possible, with the best service around! My passion is bowling, especially ball drilling. I’ve been drilling balls since the age of 16 and don’t plan to stop anytime soon. My passion has helped me bring my drilling-game to the next level, now being able to teach it and give back to others, means the WORLD to me. 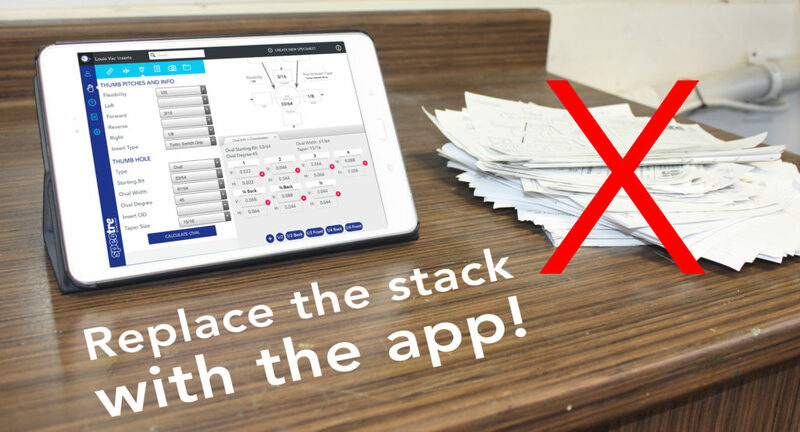 I hope you enjoy our app and I sure hope it makes your work better, more efficient and alot easier! Cheers. Living in Montreal since 2005, Luis was starting have his presence heard on the elite bowling circuit in the Province of Quebec in Canada. Having to bowl week in and week out with multiple Canadian superstars, he quickly started to learn more and more about the game. Bowling every weekend and seeing the likes of Mark and others from the Buffa staff was the start of a growing friendship and now turned partnership in the Spectre build! Mark reached out to Luis with the idea and they quickly got the work. The goal was to produce something great for any size pro shop, from the smallest one-location shop to the multi-store chains found in the USA. Centralized data for the ball drillers, fill the need in the industry.